A number of players from the Enderby Band Organisation, including ten players from the Youth Band, attended the Wessex Band Summer School in Dorset last week. 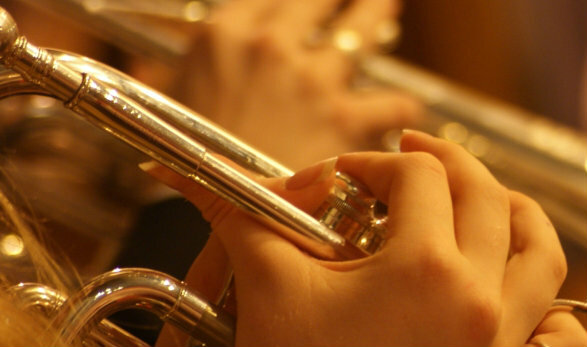 On its website, the Enderby Band Organisation reported “It’s an event that many of our players look forward to each year. “Our euphonium player Sophie was awarded the Ron Cornelius Cup for the euphonium player making the most progress through the week. “Konnie, who has helped us out on percussion recently, was awarded the Sarum Sound Cup for the student 15 or under making the most progress through the week. “Greg who plays in our Wind Band, and who is also Chairman of the EBO Management Committee, received the Courtney Bosanko Shield, which is awarded to the student who has shown loyalty and commitment to the course over a number of years. “Congratulations to Sophie, Konnie and Greg on their well deserved awards. “Well done to all the players for their hard work and commitment over the week. “The concert finale, with over 150 wind, brass and percussion players was something rather special.